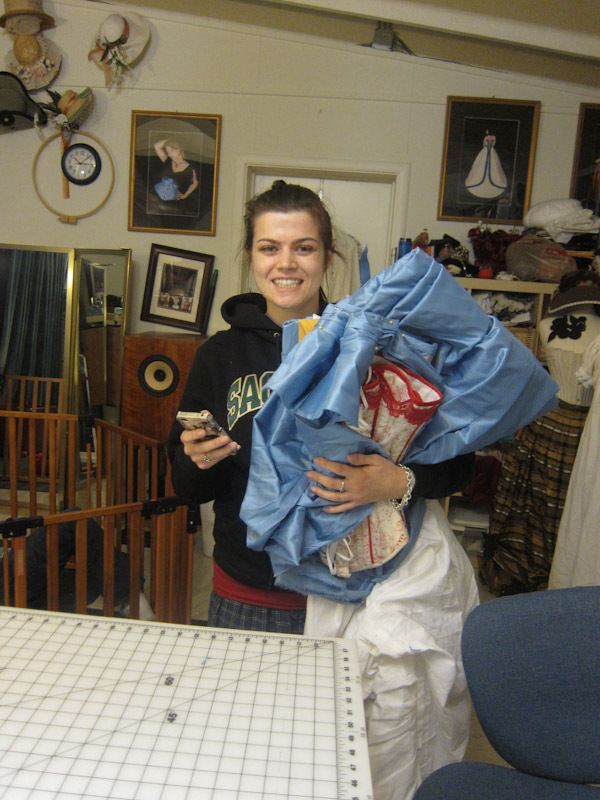 Rene came over and we worked on a new gown. 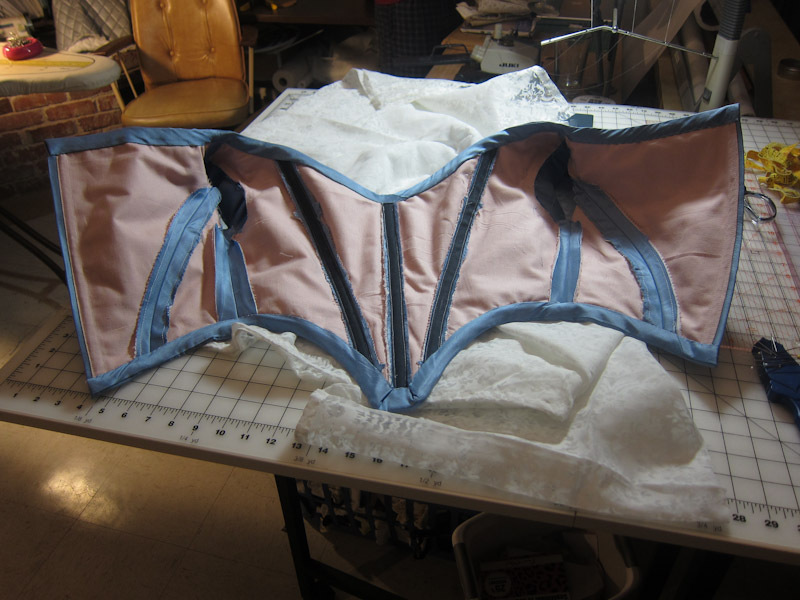 The bodice was put together in a day which made us very happy! 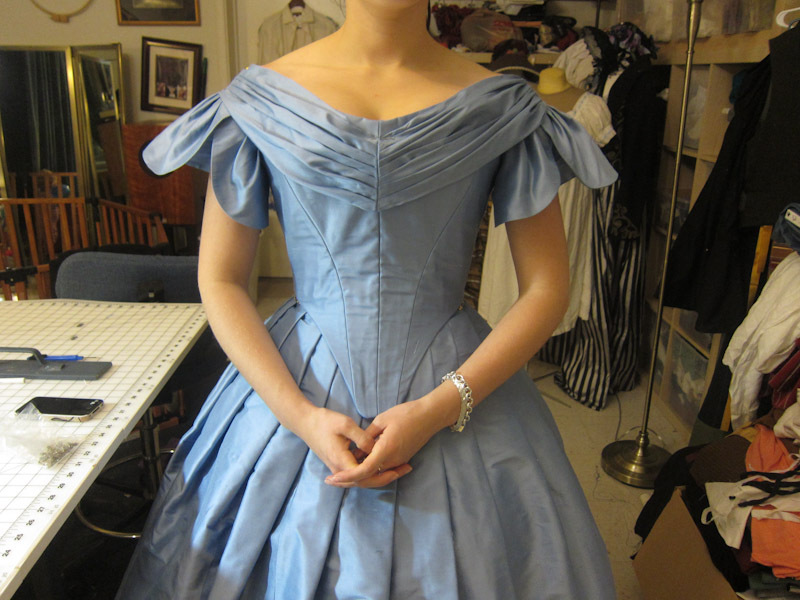 The bodice itself was based off a Past Pattern draft Rene had of her last Victorian bodice she made. She made a mock-up and we did some quick fitting changes. The bertha was draped by me. The sleeves were based off a Simplicity pattern. The undersleeves still need to be made out of the sheer white patterned fabric. Sitenews: I’ve been Gone forever! Dress for a Halloween Wedding: final fitting and pickup! Wow, that is stunning! I love the colour and all the detailing.